As one of the industry’s most reliable full line steel service centers, Grand Steel strives to live up to its reputation for providing high-quality, consistent products. 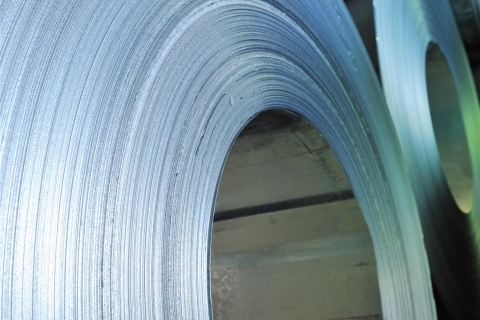 Offering an unmatched selection of flat rolled steel – including hot rolled, cold rolled, galvannealed, and aluminized – we pride ourselves on our ability to meet – and exceed – our customers’ demands. For over twenty years, we’ve continually worked to improve our processes. We’ve expanded our shipping options, purchasing several house-operated delivery trucks. We’ve maintained ISO 9001:2008 certification, indicating our commitment to maintaining high quality standards. And, recently, we opened our own, in-house steel testing laboratory that offers hardness, ductility, YTE, and composition testing. With a massive facility, our capabilities are unparalleled. We know that even the smallest error – the most minute imbalance – can throw your entire operation off track. We know how devastating unexpected downtime can be. As a result, we use only high-grade, flat rolled steel and carefully analyze every product to ensure that it matches our customers’ specifications. More importantly, we provide photographs and gauge charts to ensure that our customers are comfortable with – and confident in – the products that they are receiving. At Grand Steel, we bill ourselves as “not your traditional full line steel service center.” Part of our divergence from the traditional is our commitment to innovation. We believe that innovation precedes quality and, because of that, are constantly pursuing new, exciting developments in steel slitting. Whether we’re ensuring quality by opening our own in-house lab or we’re reducing lead times by expanding our fleet of delivery trucks, you can count on us to rise to the challenges presented by your operation. If you’ve been searching for a new steel service center, we encourage you to browse our site, examine our products, and contact us with any questions.